In the effort to run a household, keep a job and maybe even look after more children than you once thought you’d ever have, you might find that your schedule becomes relatively tight. Taking a break to unwind and bond with your family might be the single most desirable time you could have with your family, but making it a reality with so much responsibility can be a difficulty. Even if you do find time, it can be difficult to figure out what you’d like to do with it. We’d like to suggest the ideas discussed in this article. Most people find that spending quality time with their family is the number one most important priority in their life, so we’d like to celebrate that and bring it to the forefront. You may not always be able to find a full fortnight to head on annual leave with your family. Even if you did, it’s likely you’ll struggle to afford multiple holidays a year. Finding what time you can apply to your home life is the best way to compromise. Grab a weekend free here and there, make use of 3 day weekends, and take your accrued work holidays off for days when your child’s school is training their staff. Look to your local environment for places that might allow you to take a short travel distance there, while also providing you with a new and novel vacationing experience for your family. It’s likely that off-peak bookings in these establishments or accommodations are likely to net you the same deals for less money. There aren’t many things in life which provide a win-win, but this is surely one of them! 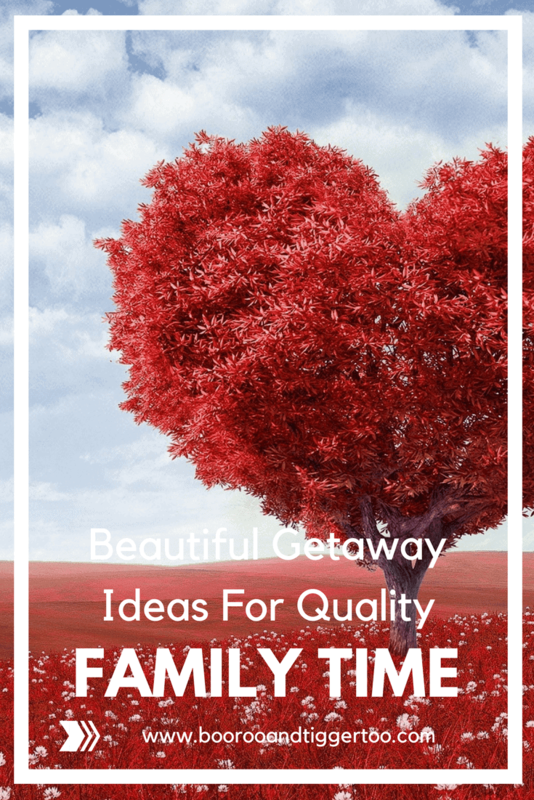 One of the best ways to accommodate quality family time is to spend it in nature or at least separated from the multiple devices which usually stimulate us in our daily lives. This is why activities such as camping, hiking and residing in rudimentary quaint lodging can almost feel therapeutic. Gone will be the distractions and instead of that you’ll have each other to rely on and entertain, meaning that you’ll be more ‘in sync’ with your family than ever. Getting in nature serves as a great way to help your family unit bond at root again, without all the comforts and petty distractions of normal daily life. Using a personalizable postcard app on your phone will allow you to keep in contact with your family, letting them know you’re thinking of them even when on a temporary rest from society. Plus, when you head back home, you’ll appreciate all of the mod cons of modern family living immediately. Going on an adventure is the best way to bond with your family if you all enjoy heavy activity. Even if you don’t, it’s likely that this can push you out of your comfort zone, and there’s no better way to bond than that. This is the main reason why corporations spend so much sending their employee teams to experience activities together. Heading to a local activity center, traveling for a summer or winter sport, or simply heading to a location with a variety of activities on offer such as a large amusement park can all feed this desire. Take a family meeting and identify where you’d like to head. Choose the two with the most votes and then select. Even if you all can’t agree on the vacation this time, there will always be new opportunities! These tips should help any family who find it hard to spend time with each other bond in happiness and peace. We hope you have a phenomenal vacation if this is the case.